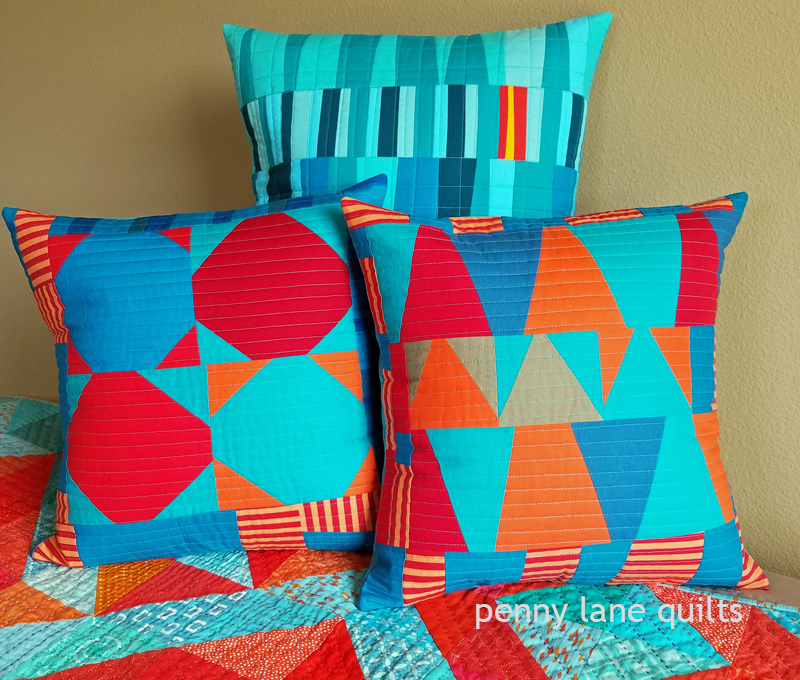 Marla, Thanks for posting about your process behind this quilt. Those were perfect three days hanging out with you. When I wrote the book, I knew modern freeform blocks could be, and you really topped all of what this block could be. I know it is a stunner. It is going to stop everyone in their track. 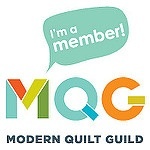 Have a great time at Quiltcon. By the way, I know a thing or two about being on both knees with every cutting mat on the floor! It was all worth it! oh I can’t wait to see this one in person. I really love it! Thanks, Debbie! See you there soon. Well done, Marla, this quilt is stunning and was so worth the effort! 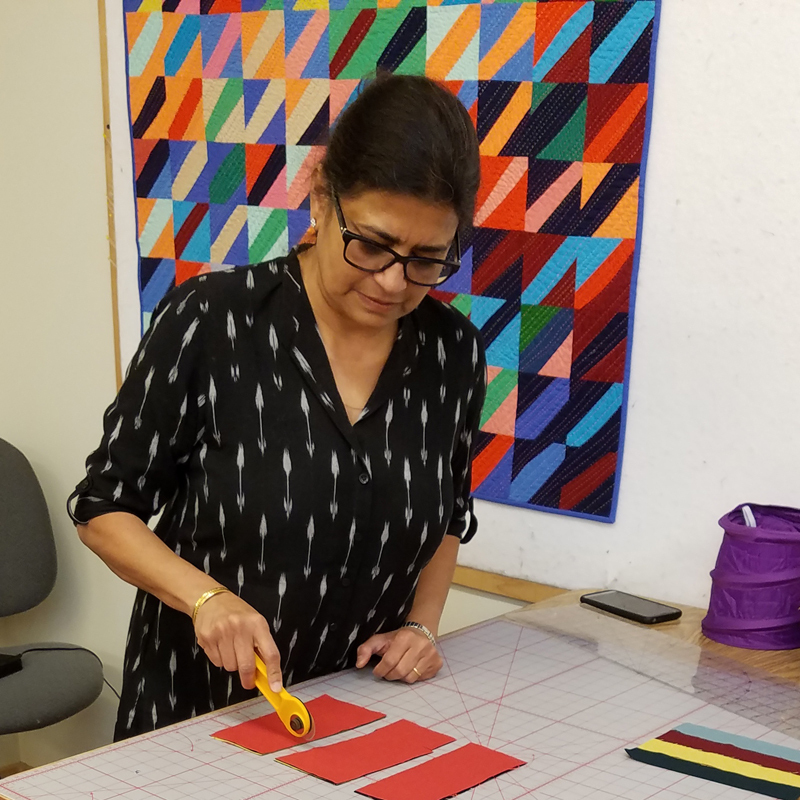 I’m intrigued with cutting multiple layers, thanks for introducing me to Sujata, I’ll definitely check out her book! 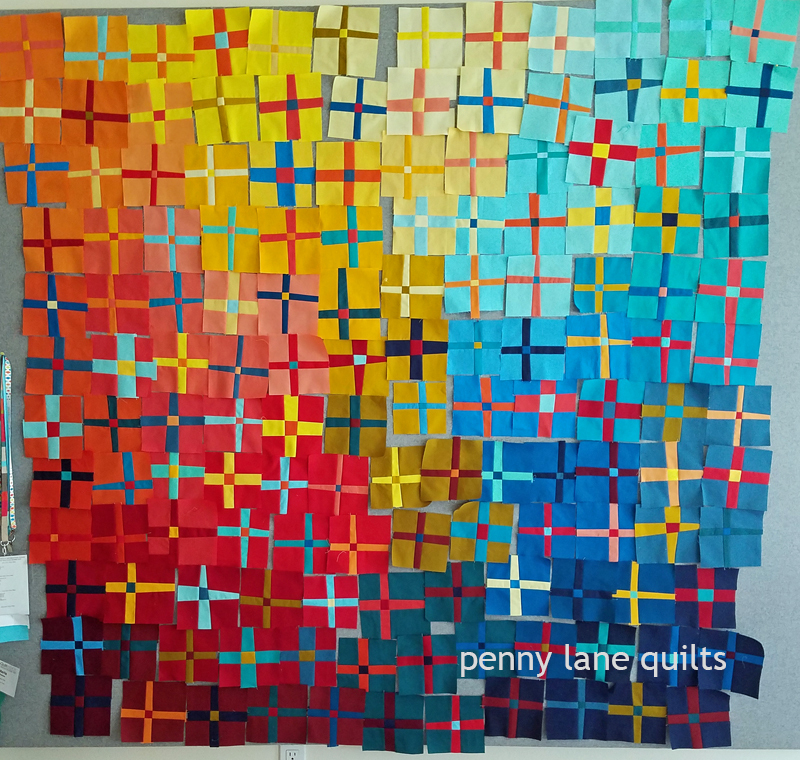 Enjoy QuiltCon and good luck with your quilt!! Thank you so much! Do check out Sujata’s book for some inspiration. Thank you so much, Shannon. It was a challenge to freehand cut those longer sections, but I love the way it turned out. I haven’t spent much time machine quilting since I finished that one and I probably won’t do another one of that size the same way again, but I do love the texture. 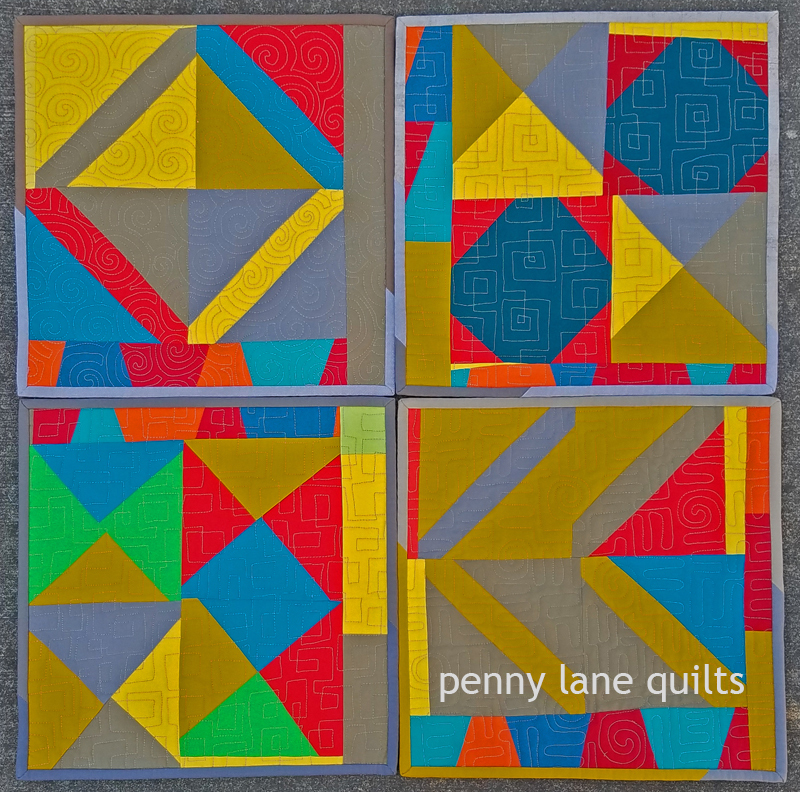 I’ve been treating myself to lots of hand quilting since then! The color play is wonderful! So much to look at! Thanks for sharing your process! Thanks for visiting and leaving a comment. I appreciate it! 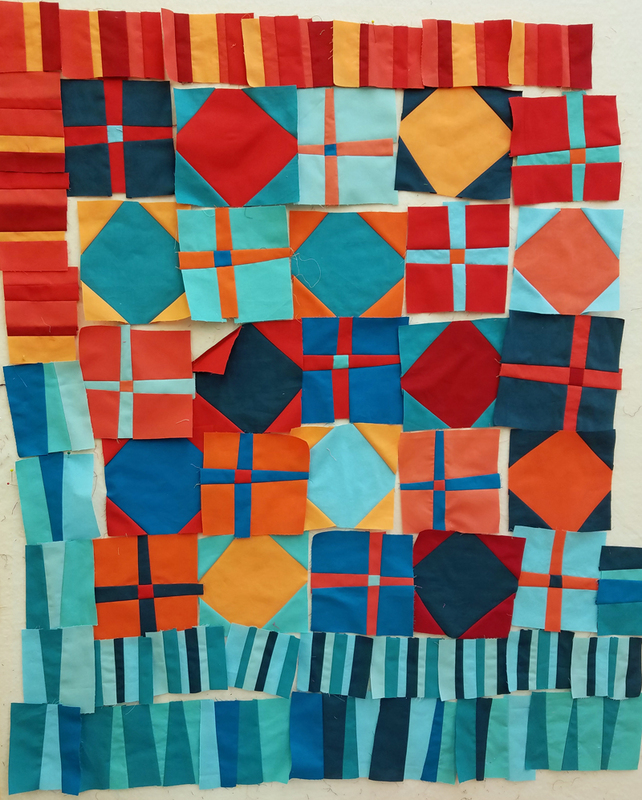 Playing with color is my favorite part of the process and the piecing was an intriguing puzzle. Thanks, Kathy for your enthusiasm! Marla, it’s great to see it finished and a lovely reminder of the studio tour you gave me and Gail Newman when it was in progress. Your work is creative and beautiful to see. Thanks for taking the time to read the blog and leave a comment. As you might have noticed, I hadn’t posted since last May, so I need all the positive feedback I can get! That was so nice of you and Gail to stop by for a visit and to chat about quilts. It gave me a little break from the quilting! 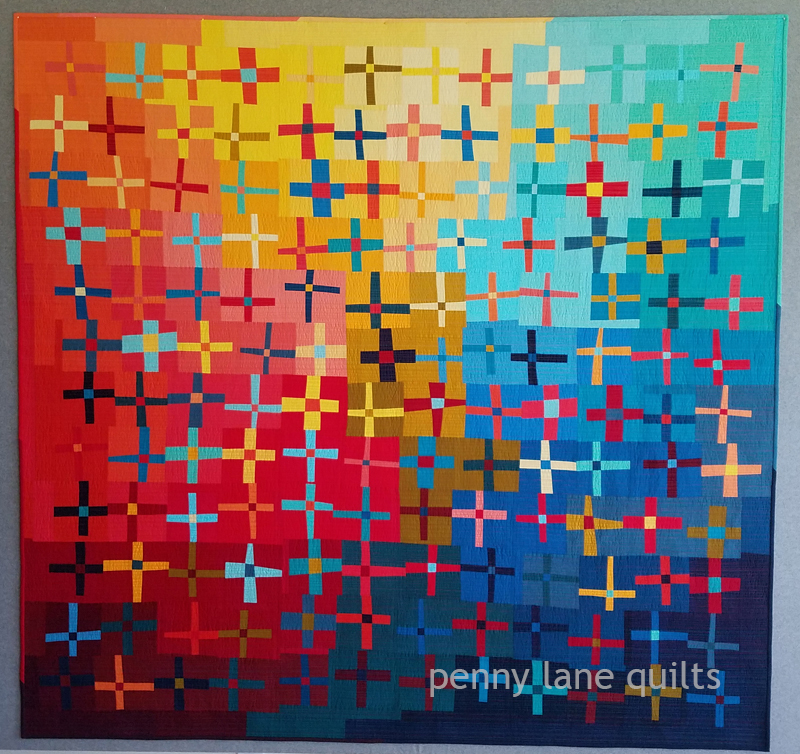 Thanks for all the info on this lovely quilt. I saw it on Instagram and wondered about the colour of your quilting threads. Interesting that you used so many shades. I loved this block in Sujata’s book and your interpretation is so different. Thread choices were difficult for this one because I didn’t want too dark of a thread on the light areas or too light on the dark fabrics. 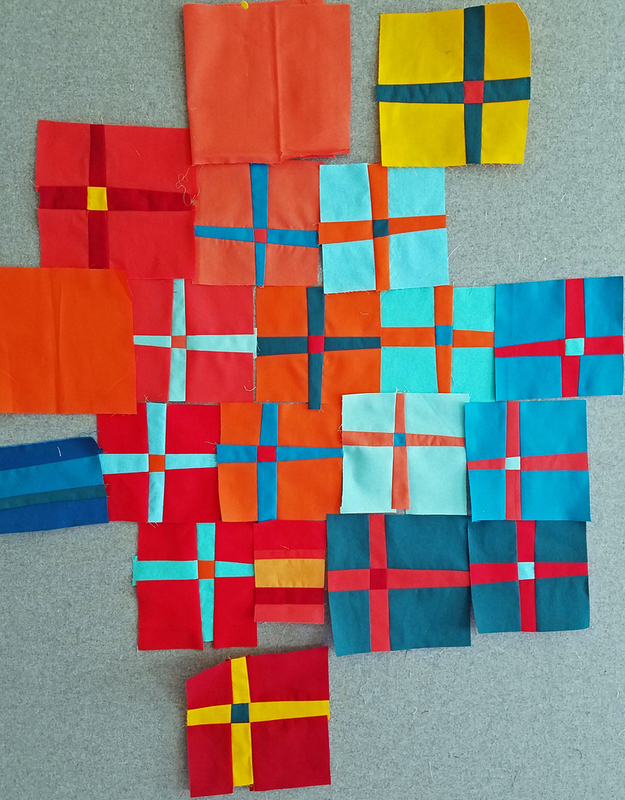 The color also changes horizontally across the quilt, so how the threads look on one side is different than they appear on the other. Lots of times when I can’t decide, I just choose more! One thing I like about Sujata’s book is that there are so many different ways to use the blocks once they are pieced. 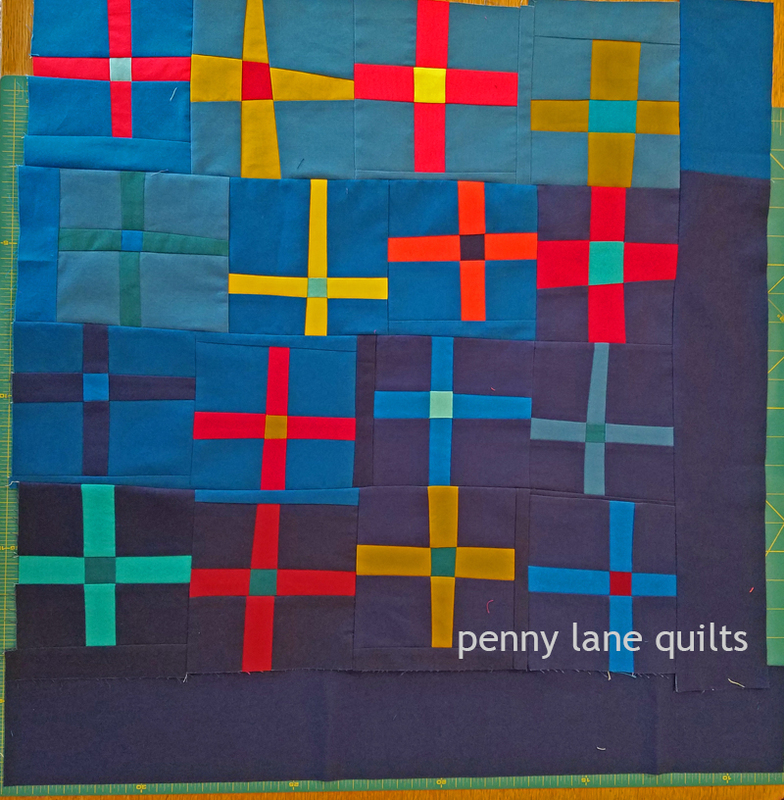 Her method helps you create the blocks quickly and then you can design your quilt any way you like! I have the book and am making a quilt from it now. Working on the border now. Your quilt turned out beautifully. Kudos to you for getting all those blocks to fit together! Love the glorious colors on this one. I checked out your quilt and it sounds like you are asking some great questions. It will be interesting to see what you decide about the borders. 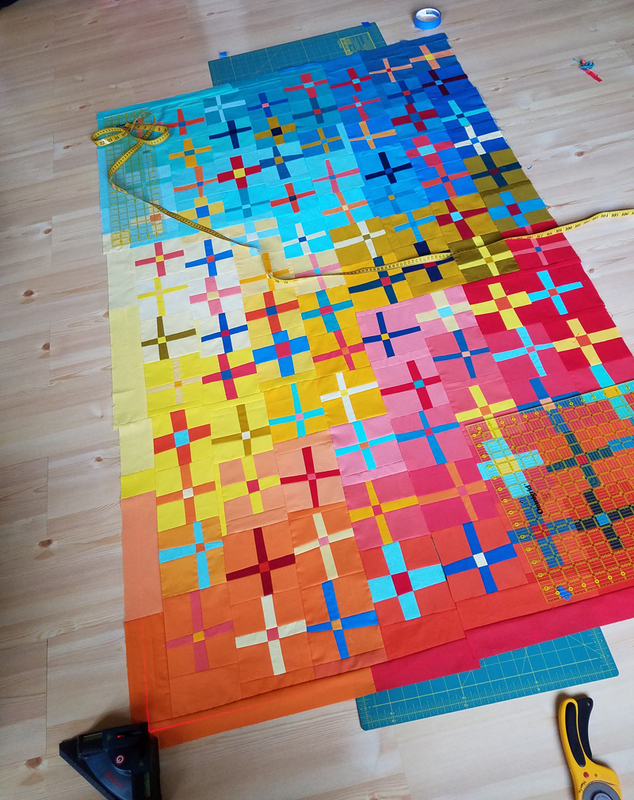 Puzzling different sized pieces together is a lot of fun and cutting without rulers is my favorite way to roll.Playing with the colors was my favorite part of the process! What a beautiful quilt and I always love knowing the backstory. I hope to see you and your quilt in Nashville! Thanks, Yvonne. 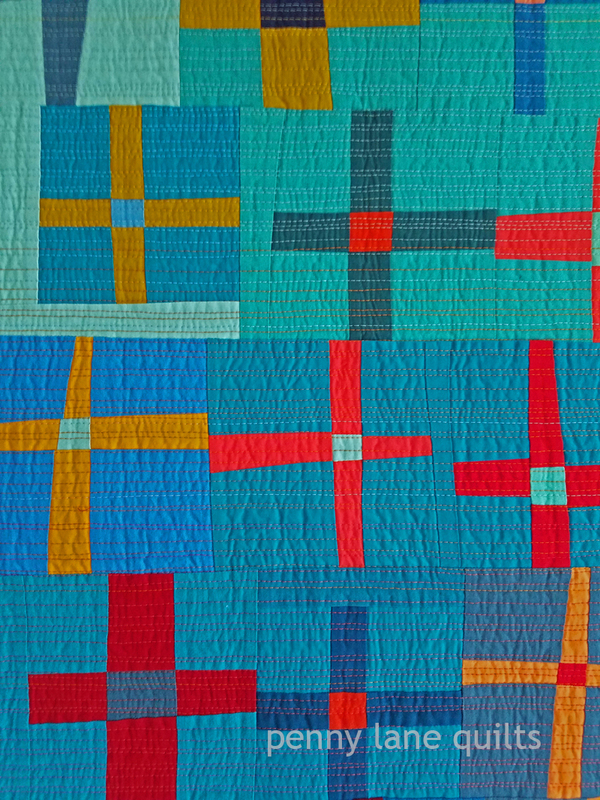 I’ll look forward to seeing you in Nashville and all of your quilts, too! Thank you! It is bright and cheery, isn’t it?